A short biography of German revolutionary Gustav Landauer, who was killed in the crushing of the German Revolution. Landauer grew up in a prosperous and assimilated family in Germany. He became a radical as a university student and by age 21 he became the editor of a journal, The Socialist. Despite its name, Landauer espoused an anarchist philosophy that he learned and adapted from the French thinker, Pierre-Joseph Proudhon and the Russian thinker, Peter Kropotkin. He argued that the State was the enemy of freedom and should be replaced by de-centralised workers, farmers and consumer cooperatives. To some extent, he idealised the peasant for rejecting bourgeois values and embodying a collectivist ideal. This placed him at odds not only with the authoritarian German government and the established elites, but with the mainstream socialist movement, the Social Democratic Party. It sought to gain power through electoral means and reshape German society through nationalisation of big business and the creation of a welfare state. In 1893 and again in 1899, Landauer was imprisoned for acts of civil disobedience, serving a total of 17 months. He continued to develop his non-violent revolutionary ideology in the years before to World War I and influenced Jewish intellectuals in search of libertarian solutions, including Ernst Bloch (see essay on Bloch), Gershom Scholem, Walter Benjamin and Martin Buber. He became a close friend of Martin Buber, who introduced him to Hasidic legends that appeared to fulfill his vision of an egalitarian society. In a review of Buber’s The Legends of the Baal Shem Tov, written in 1908, Landauer claimed “…Judaism is a not an external contingency but an inalienable inner property, which transforms a number of individuals into a single community.” He also considered Jesus a Jewish prophet and embraced the prophetic belief in the coming of a messianic age of peace and justice, albiet one brought into existence exclusively by human effort. 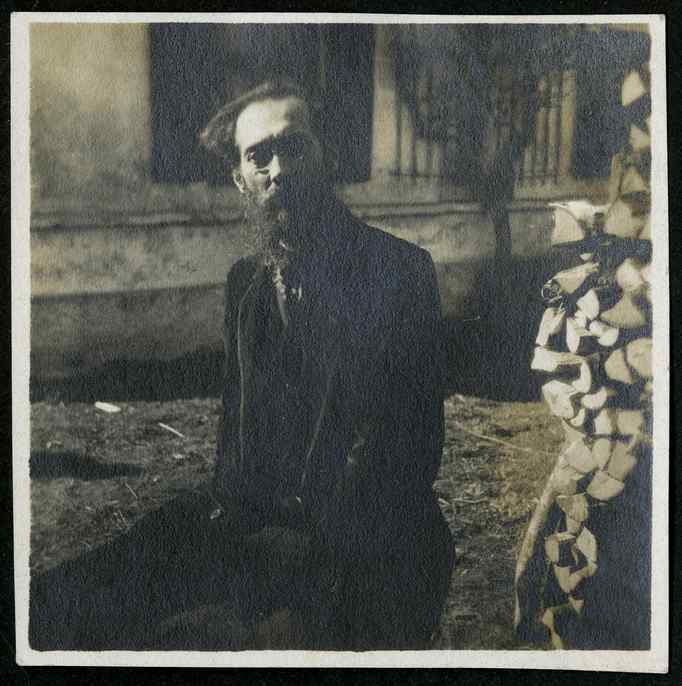 Landauer synthesised his views of human and Jewish liberation in an essay, “Are These the Ideas of a Heretic?” which appeared in a collection published by a Zionist student organisation in Prague in 1913. He believed that Jews would play a critical role in the coming world revolution precisely because, as an international people, they transcended national divisions. He anticipated the transformation of Europe into a confederation of egalitarian communities where Jews would take their place as a people united by fate, history and common ideals. Although he saw the Jewish communal kibbutzim as a partial realisation of his ideal society, he did not see the need for a Jewish state and criticised Zionists for undermining Jewish life in the Diaspora. Nevertheless, his communitarian ethic influenced Hashomer Hatzair, the socialist Zionist youth movement, and he frequently lectured before Zionist organisations in Berlin. Landauer had diverse intellectual interests. He pursued careers as a free-lance journalist and a literary critic. He was involved in the Berlin Theatre, wrote and lectured on Shakespeare and wrote novels and short stories. His interest in English and American literature led him to translate Oscar Wilde, George Bernard Shaw and Walt Whitman into German. In 1914, as Europe moved closer toward war, Landauer worked with Buber to organise an anti-war conference, but the war broke out while it was still in the planning stage. (Buber initially greeted the war whereas Landauer remained in opposition.) However, Germany’s defeat in 1918 triggered a series of events that thrust Landauer into sudden prominence and caused his tragic death. Unlike the Bolsheviks in Russia, Eisner eschewed violence and allowed free elections that would have brought a more conservative government to power. Instead, Bavaria was thrown into chaos when Eisner was assassinated in February 1919 by a right wing fanatic, followed by the assassination of a moderate socialist unjustly suspected of murdering Eisner. Landauer delivered the eulogy at Eisner’s funeral. - Eugene Lunn, Prophet of Community: The Romantic Socialism of Gustav Landauer (1977). There was also a biographical sketch of Landauer's life in the PM Press collection of Landauer's political writings, Revolution and Other Writings, ed. Gabriel Kuhn (2010). Very good to hear! I certainly hope it *is* comprehensive. Thanks for this! I wouldn't exactly categorise it as a mere 'article', rather a (smallish) book. It was the first work by Landauer I ever read, decades ago. And I agree, it is very good. He was an interesting, if difficult, and today little understood, principled revolutionist. Entdinglichung always with the obscure factoids A+ !!! Over the summer, I was telling my step-grandmother once-removed over tea about my thesis research. She (a dyed-in-the-wool New Deal liberal) had never so much as heard of anarchism, but after my mentioning Landauer, she, as curious at that age as ever, read up on him online afterwards. When the NYTimes obituary came out a month ago, she was excited to catch the reference to Mike Nichols's grandfather and forwarded it to me. Inconsequential, I guess, but it's always gratifying to be able to open up these subjects to people in small ways.